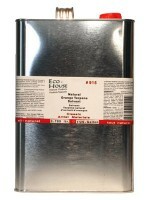 #915 Natural Orange Terpene Solvent | Eco-House Inc.
SKU: N/A. 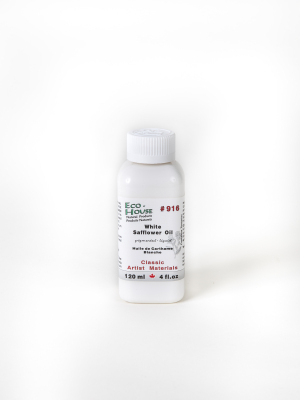 Categories: Solvents, Fine Art Materials, Encaustic Painting Products, Art Supply Solvents. 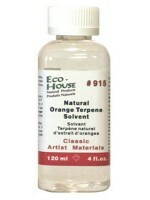 #915 Natural Orange Terpene Solvent dissolves damar resin readily. 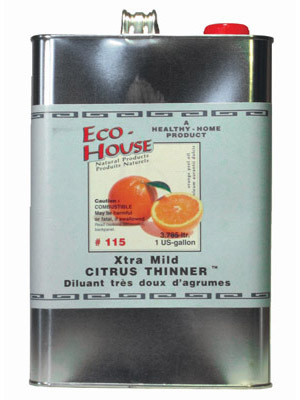 It is mixable in any ratio with #115 Extra Mild Citrus Thinner or #125 Neutralthin. 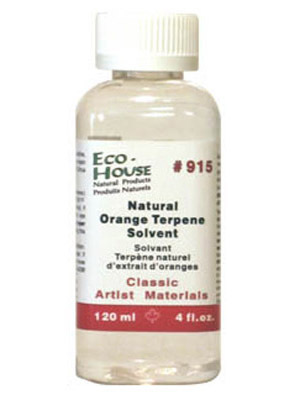 Natural Orange Terpene Solvent should be used only in well ventilated areas, when a strong solvent is technically unavoidable, for instance to dissolve solid resins or to soften hardened paints, waxes or gums. 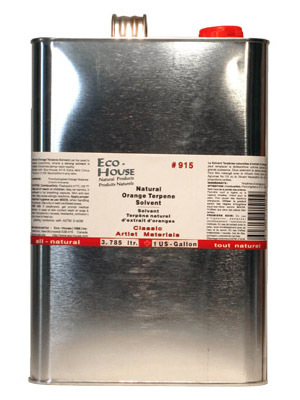 This natural, high quality essential oil is highly distilled to remove allergy causing components in food-grade quality (but do not drink!). 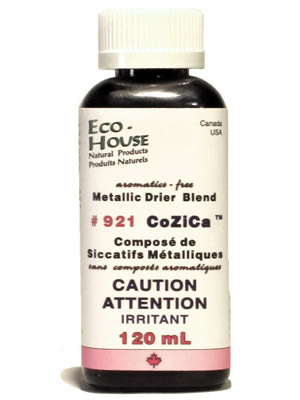 Like many natural essential oils it can have a sensitizing effect on persons who are prone to hyper-sensitivities.